One of my all-time favorite local fried chicken places is back in Ayala Center Cebu. 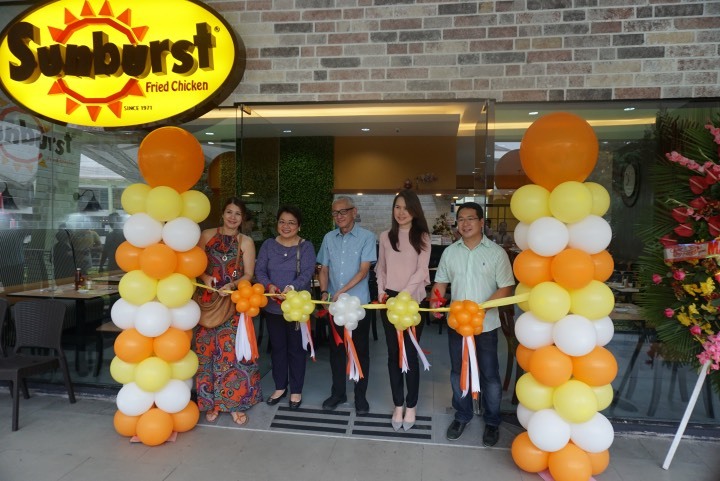 Sunburst Fried Chicken has opened a branch at the Ayala Center Terraces after almost a year of absence. If you are a big fan of their fried chicken, I am pretty sure that this news gives you a good reason to smile. 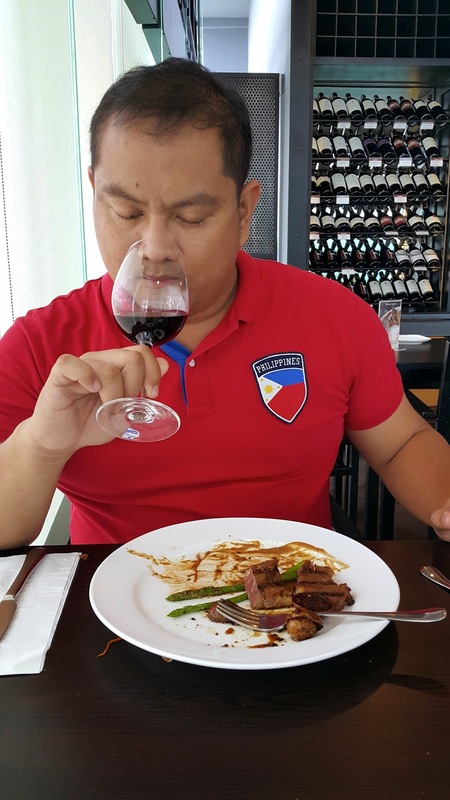 I was there on their first day and I was glad to see that Sunburst Ayala Terraces was greeted with a full house at lunch time. In general, most of us love fried foods especially before doctors tell us to refrain from eating it. Frying is probably the easiest way to cook things and the process releases a pleasant aroma that we can hardly resist. Chicken meat is one of the most common meats in the country. Chicken is easy to breed and in just 45 days, you can have full grown chicken ready to be grilled, broiled, or fried. Frying is definitely one of fastest and yummiest way to prepare chicken. You basically just have to prepare some seasonings or batter then you just throw the chicken in hot oil. Voila! You will have an awesome meal in just a few minutes. Fried Chicken is a billion dollar industry worldwide and the Philippines has its share of Fried Chicken success stories. Colonel Sanders made his millions with his KFC recipe. 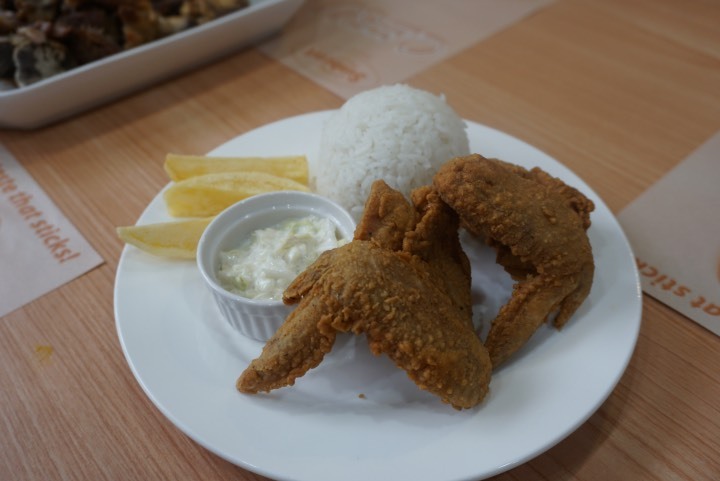 In the Philippines, we have Max Fried Chicken, Jollibee's Chickenjoy and in this part of the country, Sunburst Fried Chicken. Most of us love fried chicken as early as three years old. With the onset of fast food chains, the new generation gets their fried chicken education early. I used to enjoy fried chicken only during special occasions or fiestas. It is not hard to love fried chicken because it is crispy, delicious and very affordable. Not all fried chicken though, are the same. One of the best local brands is definitely Sunburst. 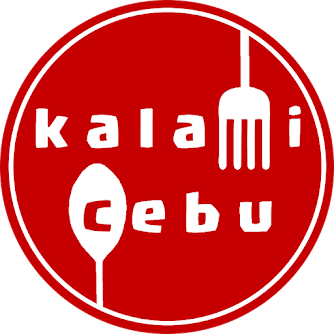 They have 7 branches all in all in Cebu and 14 in the Visayas and Mindanao region. They have been a Cebuano favorite for decades. 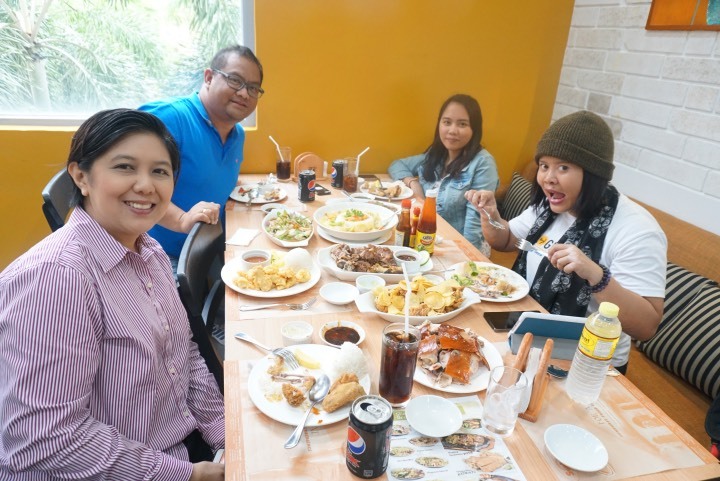 A lot of Cebuanos felt sad when Sunburst closed their branch in Ayala Center Cebu. I for one eat there occasionally. I think I have written about Sunburst several times in the past. Apparently, the franchise agreement ended already and it was not renewed. 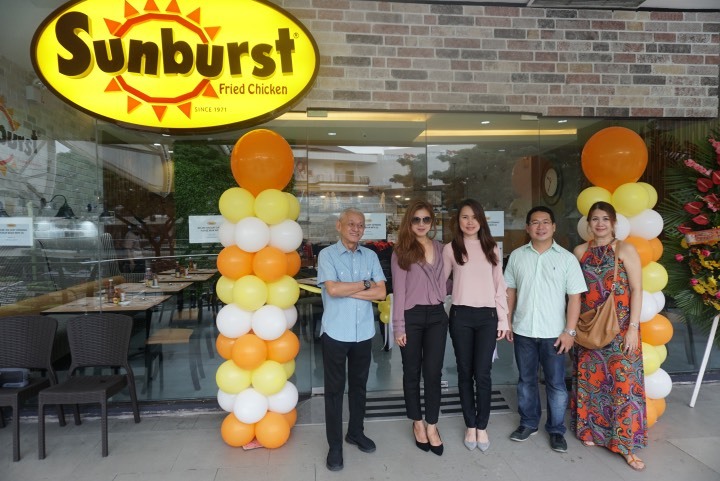 A new group of investors was able to secure a franchise and Sunburst is back in Ayala once again. They had their blessing last week and a lot of people immediately dined at their old favorite fried chicken hang out. 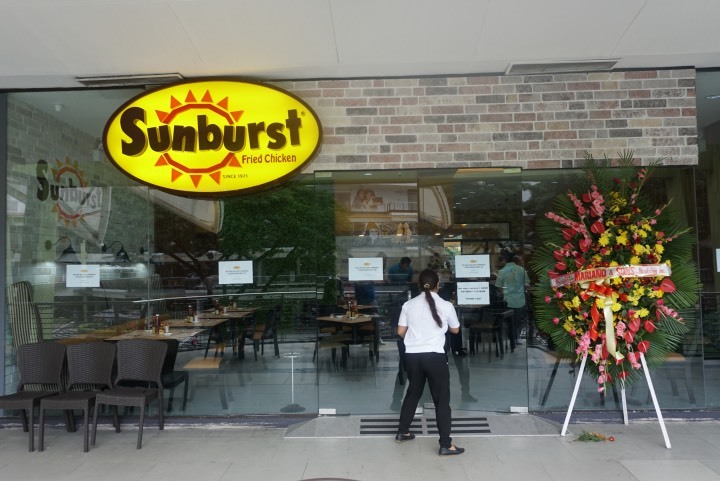 The Sunburst Ayala Terraces is now located beside Kuya J Restaurant. It has a good size and it has a private area that can serve as a function or meeting room. 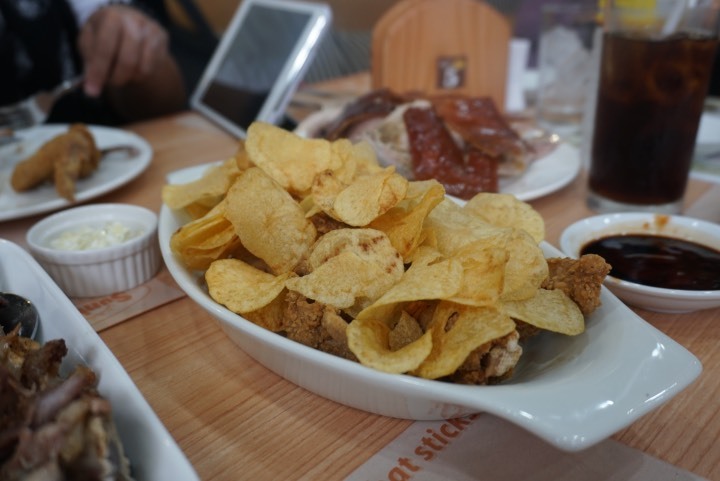 At Sunburst, you can enjoy your old favorites like the Chicken Skin, Isol, and Sunduo. 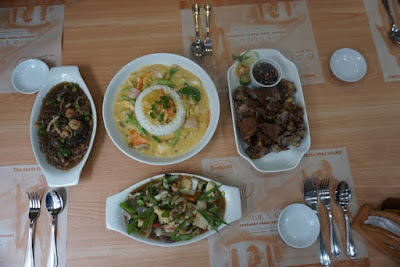 They also a solid line-up of supporting dishes like Crispy Pata, Chopsuey, Pancit, and Seafood. So, what do you usually order at Sunburst? I will tell you my choices in an upcoming post. 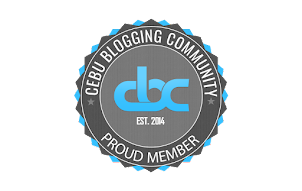 Rico Dionson, Cebu's Lechon King!